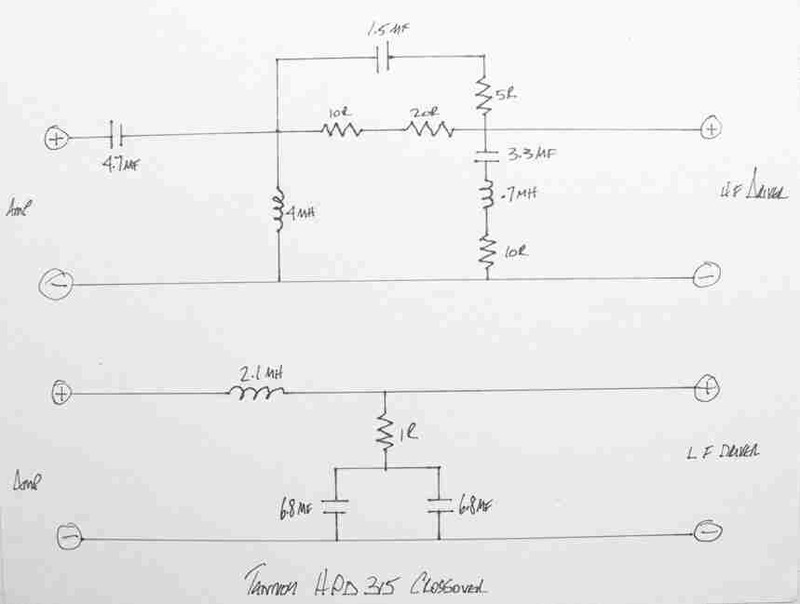 Below the modified schematic diagram by PE1MMK. This modification has been developed to get a brighter sound and a midrange that matches the open soundimage of the Monitor Gold 12' & 15' speakers. Be aware of the fact that the tweeters power handling capacity is some Watts lower here, and the woofers power handling capacity a few Watts higher. Dan has send me the below picture and information. 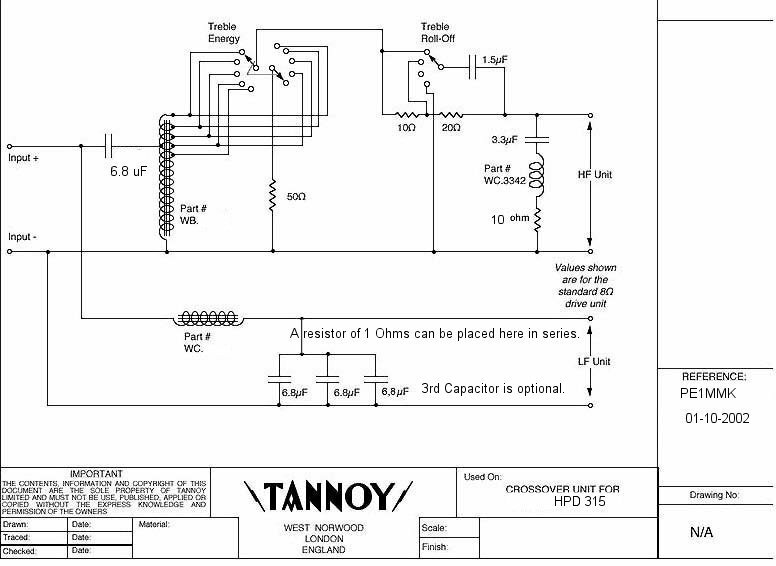 This is the x-over of the Tannoy HPD 315 as Dan uses. It is different compared to the factory x-over. © PE1MMK Hans Hilberink & Dan Cramer, 2002.